We at Service Masters Appliance know what happens all too well. There you are, with a big load of clothes ready to wash. You put the clothes into your washer, put the right amount of soap in and start the machine. But nothing happens. Without warning your washer has stopped working, leaving you high and dry. Or even worse, you’re in the middle of a load when the washer breaks down or stop functioning correctly. You have water all over your floor or you’ve got a bunch of wet, soggy clothes in the washer that you’ll have to squeeze out one piece at a time. To top it off, your clothes are still dirty! Until you get your washer fixed you may have to wash all of your clothes by hand (which isn’t fun or convenient at all). But the clothes have to get washed and something needs to be done. You don’t know how much you need a washing machine until it’s not working. And then it’s only a matter of time before your inconvenience turns into desperation. After all, how long can we go with dirty clothes? Answer: not very long at all. It’s frustrating, it’s time-consuming and it’s taking away your peace of mind. You don’t have to immediately go out and buy a new washing machine. In most cases your current machine can be quickly and easily repaired. 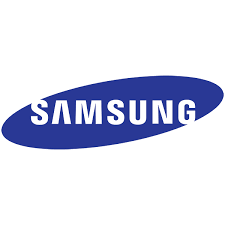 Whether you have a Samsung or another brand, chances are you can have your washer repaired in a very short period of time. If you’ve got a washing machine that isn’t working, it’s time to give Service Masters Appliance a call. They can help if you’re in the Santa Clarita, Valencia or any place near the 91354 zip code. Give them a call now. They can get your machine running like new! Coming back from a four week trip and finding your washing machine broken is the pits!! Having no recommendations I needed to call someone out of the "yellow pages". I was so pleased that I would get same-day service. Mike, the service representative,arrived on time and was able to diagnose and service my washing machine. He was quick, pleasant and informative. Thanks Mike. My Kitchenaid side by side refrigerator stopped cooling. Service Masters came out and determined that it was the compressor. I authorized the repair and their technician, Kevin, came out to start the work. After bleeding the freon, it was apparent the coils and copper had deteriorated. It was at this point, Kevin explained they could do the repair but most likely within a year or so, the compressor would fail given the condition of the cooper and coils. He had invested quite a bit of time and effort in ordering parts, travel time and diagnostics. He could have easily done the repair and been paid. I greatly appreciate Kevin's honesty and realistic appraisal of investing in a major repair. It's not often you find such a honest repairman and company. I highly recommend Service Masters. Thank you for taking your time and your kind words. By far the fastest service I have EVER had! Literally within an hour Tony was at the door to fix our ice maker. He was quick and efficient and gone in 30 min...everything fixed and ready to go. Amazing...good service and knowledgeable tech...great combination! Thank you for taking your time and kind words. Alex came out to our home the same day I called. Excellent service and really nice people!